The Ladakh region in India’s northern tip is not the India you may envision. Ladakh, which means land of the high passes, is one of the most sparsely populated regions in the Indian states of Jammu and Kashmir. 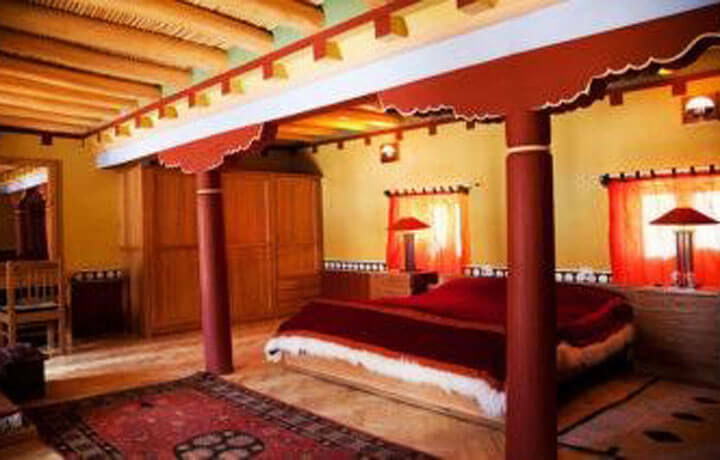 Staying in traditional Shakti houses, you’ll get a rare glimpse into the Ladakhi peoples’ traditional way of life. 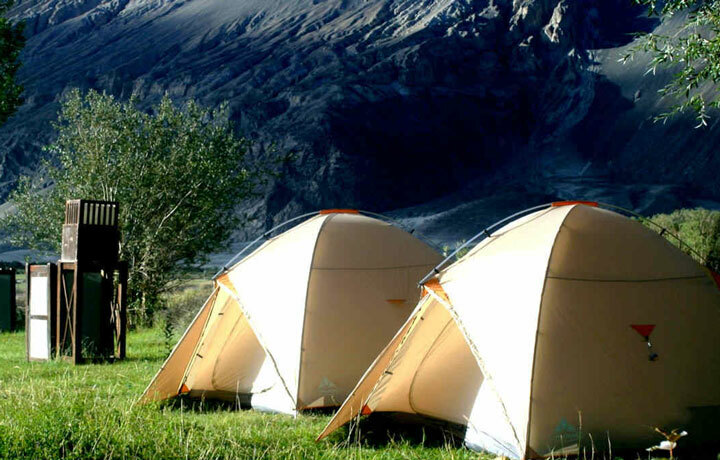 An added three-day trek brings you through the Indus Valley, where the Himalayas cradle your campsite. Spend your nights cozied-up around the fire and dining on incredible North Indian cuisine (made by your private chef) before retreating to your domed tent for a slumber beneath the open sky. Note: Space is limited in the Indus Valley. Please book at least 6 months in advance to reserve your spot. Upon arrival in Delhi, your local B&R representative awaits to accompany you on the drive to your hotel. With tonight at leisure, considering booking yourself some pampering time at the hotel spa. 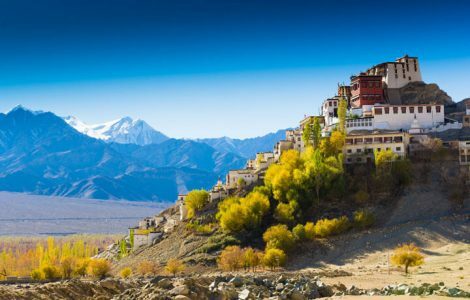 Take a 1-hour flight to Leh and arrive at your first village house in Nimoo; a community encircled by mountains and lush green fields with apricot, apple, and walnut orchards. Embark on a guided walk of Nimoo for a fascinating look at Ladakhi life. Head back to the house for lunch and time at leisure followed by a visit to the Basgo Fort. Travel to Chilling for a tour and to see the town’s renowned metalsmiths at work. If you’re feeling adventurous, raft the shores of Nimoo to the confluence of the Zanskar and Indus Rivers. Visit the village of Phyang and stop by the 900-year-old Phyang Monastery. Journey to your next village house in Stok, home to Ladakh’s Royal Family and their Tibetan-style palace. This morning begins your three-day trek. Navigate your way past rivers and through valleys to arrive at your campsite in Moncarmo for dinner beneath the starry sky. Climb a gentle incline to Matho La for panoramic vistas of the Stok mountains. Descend to the pastures, where sheep and yak graze during the summers, to the second campsite of your trek. Wind your way down to Shang Pass where you can place a prayer flag in the stone cairns. Meander through a narrow valley to reach your campsite at Shang village for lunch. Hike to the Chogdo pass where you’ll catch epic views of the surrounding snowy peaks and villages below. Walk to the 16th C Stakna Monastery, home to around 30 Monks. Discover the Hemis Monastery, the largest monastery in Ladakh and the Thiksey Monastery, one of the finest examples of Ladakhi religious architecture. 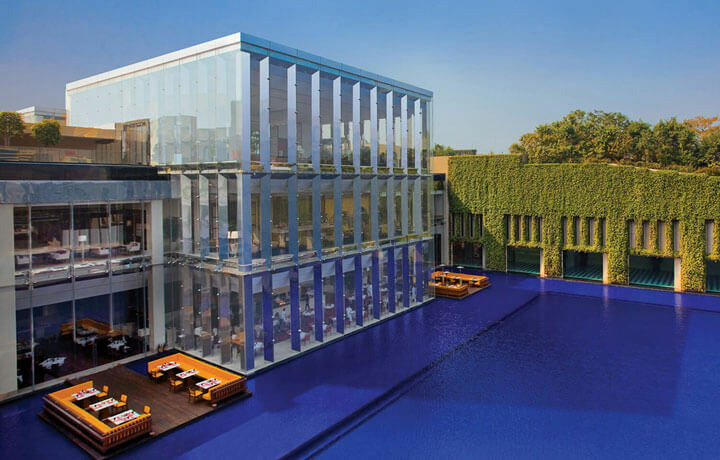 Take the one hour drive to the airport for your flight back to Delhi. Upon arrival, you will be driven to your airport hotel where you can rest and unwind from your travels. This morning you will be assisted to the international airport for your flight back home. This village home bears beautiful rooftop patios where you can soak up the sun while reading a book from the family’s small library. Alternatively, head out and explore the rural streets and monasteries of Nimoo. Three spacious guest rooms are decorated in a traditional style, including Tibetan carpets for a warm touch. 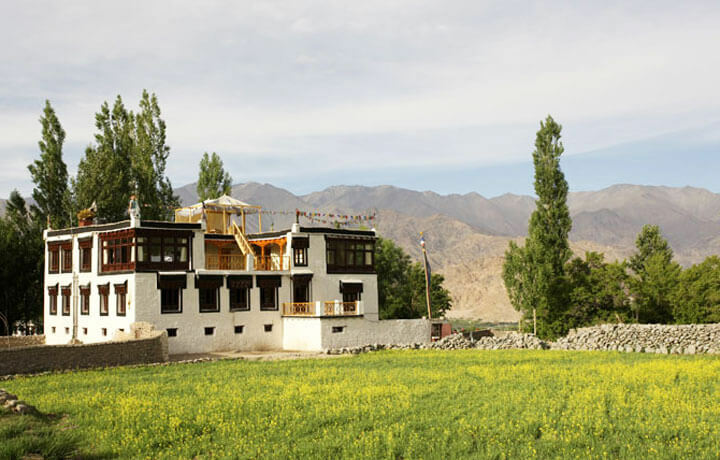 The Shakti Village House in Stok sits at the edge of a small village located at the base of the magnificent towering peaks of the Stok Mountains. Enjoy rustic luxury combined with village hospitality in this entirely renovated Tibetan-style house with a rooftop terrace that overlooks the Himalayas. These tented camps provide magical nights beneath the stars with the aplomb and quaintness of the Shakti Village Houses. The domed tents maintain Shakti’s usual standard of food and service, both of which are sure to overshadow for the simplicity of the accommodation. 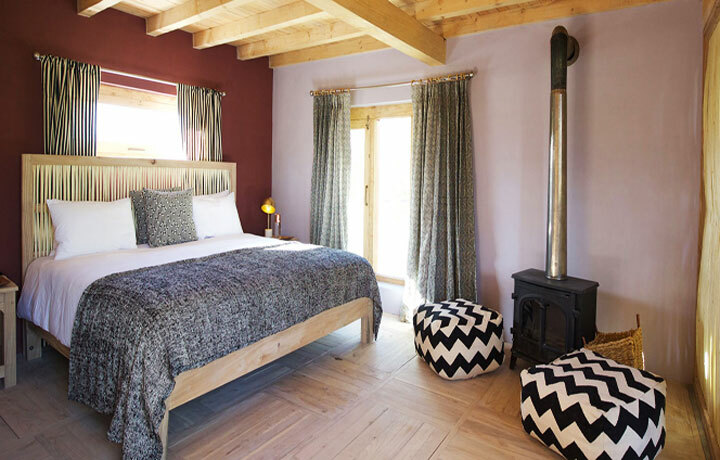 This four-bedroom ensuite house in Ladakh is ideal for large families and groups of friends. Found on the banks of the Indus, it was completely restored from near disrepair and maintains a rustic yet elegant style. Its privileged with stunning views from the bedrooms as well as from two of the bathrooms. Our guide was truly a gift. He was fun, knowledgeable, and filled with historical facts and wonderful stories. Very much enjoyed the trip, a unique experience and an outstanding B&R team effort. 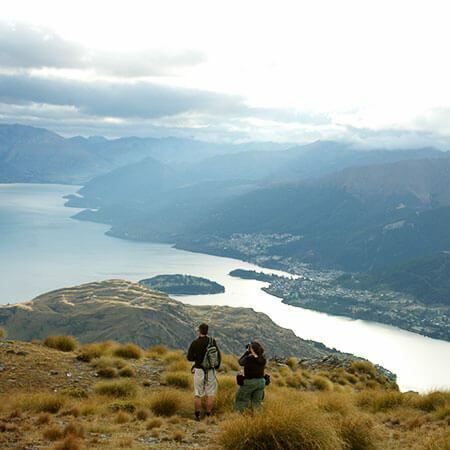 This trip is appropriate for people who can handle strenuous activity at high altitude. 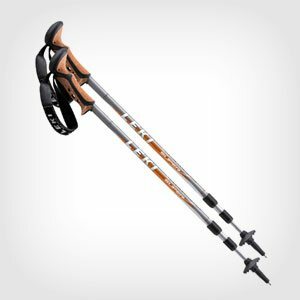 Hikes range between 4-6 hours, but can be adjusted to suit your needs.